Condo Associations face a big range of issues – both those important and unimportant. One particular type of issue which can haunt you is the Zombie Condo Association issue. These challenges are mindless, unkillable, and a frustrating aspect of Condo life. However, with these steps, you can make sure that you effectively end the zombie issues and make sure they don’t eat your brains. 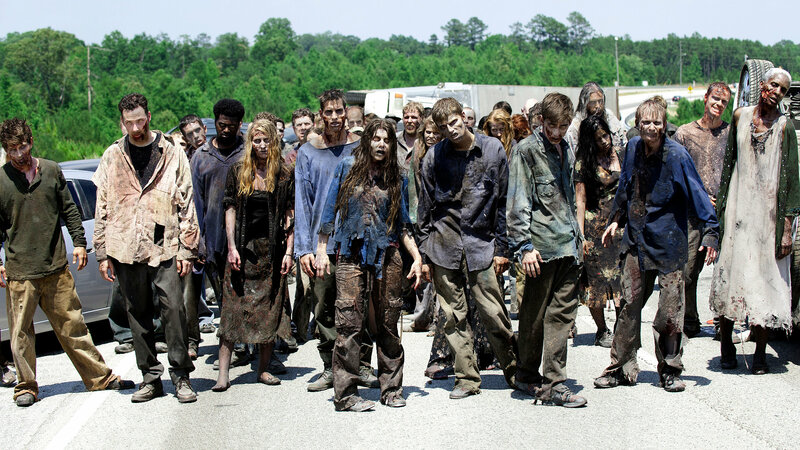 What is a Zombie Condo Association Issue? Watch out for a hoard of Zombie Condo Association issues coming at you. A zombie Condo Association issue is one that simply will not die. It comes back over and over again. For whatever reason, the Condo Association can’t seem to kill it off. It might be an elusive maintenance issue that is hard to identify and fix, like a periodic HVAC or boiler problem. It might be an Owner who complains periodically but never quite forces the issue enough to resolve. A combination of Board apathy, lack of urgency, and potentially even lack of money allows the zombie Condo Association issue to shuffle around your agenda, never dying. A zombie Condo Association issue typically won’t die because it’s either not important enough, or there is no “forcing function” for action. For example, one major driver (or lack thereof) of zombie Condo Association issue for the Association is finances. If there is a minor maintenance issue, for example, the fix might not be worth the cost, like a once-a-year- leaking roof that causes negligible damage. Alternately, it might be a desired improvement – like new landscaping – that is a “nice to have.” Owners want the improvement, but the Board, following fiduciary duty disagrees. What compounds the resolution issues is the lack of Board effort. Sometimes a Board has more important things to do. Other times a Board is just lazy. Other times, the Board might just be reluctant to piss off Owners with a definitive “no, we’re not doing that.” The result is that it gets brought up at meetings and won’t die – wasting everyone’s time. How Do You Close Out a Zombie Condo Association Issue? Don’t get overwhelmed – close out the case. By their nature, zombie Condo Association issues are not important. However, like a horror movie, these zombie issues can pile up until you have a horde of them. A zombie issue horde is a distraction that needs to be solved. The best way to close out an issue is to force the decision point. If the Association has no money, focus on that and get Board members to agree to simply say “no.” If you’re dealing with an Owner and you’re not going to help them, push towards a clear no, which will help the Owner determine if they want to sue or just let it go. Your challenge as a Board member is to cajole, bully, or otherwise convince your fellow Board members to solve the problem. You might even consider dedicating a meeting or two a year on closing these small issues out. Small nagging issues can pile up. Further, getting into a habit of apathy is unhealthy for your Board. You need to make sure you are productive and decisive. Killing off zombie Condo Association issues is a great way to keep moving and lead a better Condo life.